As a general rule, I use 1/144 models for flying gunships and air support with 15mm figures. However, transports helicopters which are depicted on the LZ obviously need to be in the same scale as the figures. 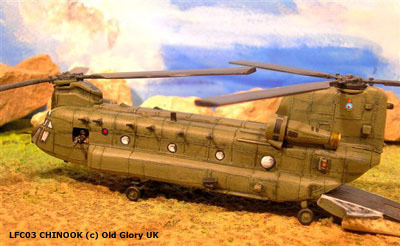 While quite a few 1/100 helicopters can be found from a variety of sources, one of the most glaring omissions is an affordable CH-47 Chinook suitable for use with 15mm figures. 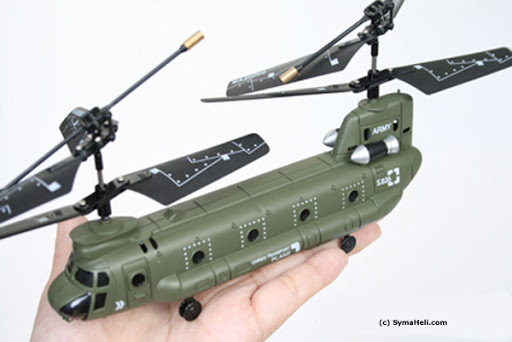 Basically, if you want to have a model of the workhorse of Operation Enduring Freedom your choice is limited to Lil' Flying Fokker's very nice but expensive CH-47 Chinook. This a resin and metal kit which looks outstanding but carries a hefty price tag of £30 which, alas, is far more than I am prepared to pay for a model. While browsing eBay, a photo of a Chinook toy caught my eye : the Syma S026G radio-controlled micro helicopter which looked to be about the right size. Interest suddenly picked up because the seller's description included a fuselage length which appeared to be reasonably close to 1/100. However, paying the same price as the LFC kit for a toy and then gutting it wasn't really an attractive option. 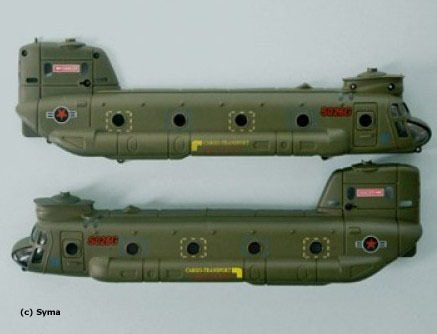 On the other hand, spare parts for this toy are widely sold and it is possible to buy the body separately. This is actually quite cheap (about $7 US) and one was promptly ordered to check its usefulness as the base for a 15mm model. And the good news is that the fuselage actually measures 16,5 cm by 3,6 cm which makes it 1/94 in length and 1:105 in width, i.e. 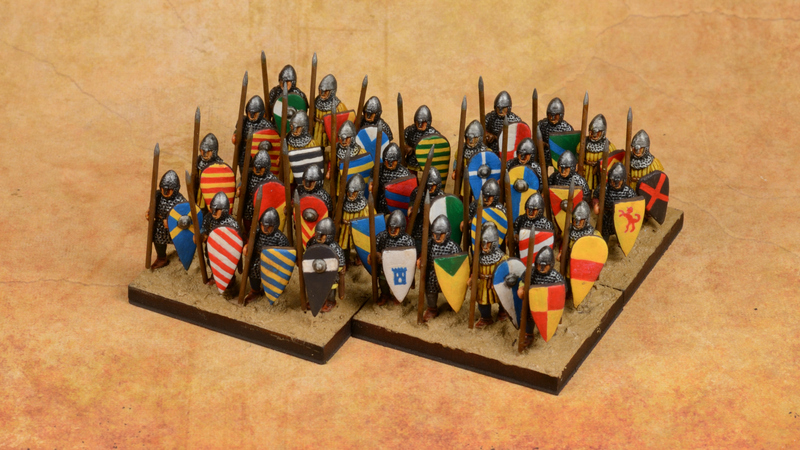 well within the usual variations found in 15mm vehicle scales. The result of my tinkering with the toy can be found over at the Chinook testbed post. One thing needs to be noted : the fuselage is usually sold as spare part "S026G-01 Body" and includes only the actual shell of the helicopter without the bottom (which isn't really needed) nor the engines and landing gear, which are found in "S026G-16 Decorate blade" (now there's a misleading name if ever there was one!). Obviously, this dawned on me about five minutes after I had completed the transaction, leading to another search for a source of engines and landing gear (which are rather harder to find). I won't recommend the actual seller from which I purchased the fuselage because it turned out to be what appears to be a poor copy with the two halves mismatched in colour (not much of an issue because a repaint was in order anyway) and, more importantly, missing the cockpit glass areas. 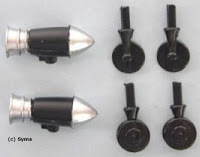 Some further searching revealed that the cheapest way to obtain the necessary spare parts is in fact to order direct from Syma-RC which takes Paypal, offers free shipping worldwide and sells both sets for a total of $6.97 US (£4.34 or 5.35€). There are several other sources in the UK, US and Germany and Google should unearth them easily. I just received an order of 6 Bodies and 6 "decorate blade" direct from Syma Helicopter. I can confirm they are good to deal with. 6 15mm Chinooks for under £25 - that is good! Only one tiny issue they missed one half of one fuselage, but I emailed them and they responded immediately and will ship it straight away. Good to see this was useful to someone. I guess the Free World forces of Gomi Design will be getting AC-47 support in addition to serious lift.